As if being class president of a predominantly male high school isn't hard enough, Misaki Ayuzawa has a major secret-she works at a maid cafe after school! How is she supposed to keep her image of being ultrasmart, strong and overachieving intact once school heartthrob Takumi Usui discovers her double life?! Misaki tries to get reelected as student council president, and it becomes an all-out showdown between her and Soutaro Kanou! She wants to win the spot fair and square without Usui's help, so she distances herself from him… But in the meantime, is she finally realizing her true feelings for Usui? Hiro Fujiwara is from Hyogo Prefecture in Japan and was born on December 23. Maid-sama! 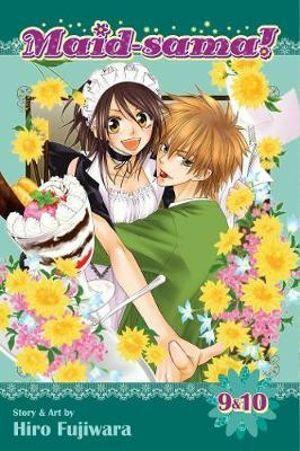 (originally published as Kaichou wa Maid Sama! in Hakusensha's LaLa magazine) is her first long-running manga series and is available in North America from VIZ Media.